If you dream of a luxury stay for unforgettable holidays, this villa will make your stay in Granada a unique and exclusive experience. A house with all the luxury of details such as salt pool, jacuzzi, sauna, gym, wine cellar, cinema room, sports court, Wi-Fi, piped music, air conditioning, heating in all rooms and much more. An accommodation where you can enjoy nature and relax. Through its large windows and its Velux windows on the roof, you can breathe without leaving the interior the tranquility and beauty of its comfortable garden, its two porches, the swimming pool and the sports court. The villa is built on a plot of 1000 m2, 519 of which correspond to the house. Located in a quiet area surrounded by olive trees and individual homes. 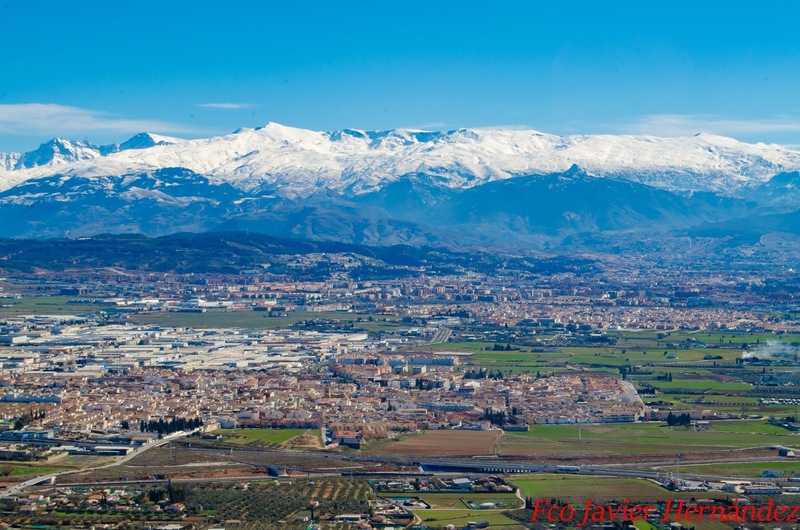 All this with the advantage of being located a few minutes from Granada. The main floor consists of a large living room of eighty square meters at two heights and with sloping ceilings with dining area, seating area, fireplace and library. Spacious and at the same time cozy kitchen, thirty-five square meters, fully equipped. Its vaulted ceiling and its stone wall make this room a luxury gastronomic space. With an adjoining room that has a laundry area equipped with washing machine, dryer and ironing area. This floor also has a courtesy bathroom. On the middle floor there are four double bedrooms with sloping ceilings with wooden ceilings and full bathrooms en suite. Bathrooms of the highest quality and floors of floating platform of jatoba. Its basement is the delight of the gourmets for its cellar and its incredible cinema, with comfortable seats to enjoy unforgettable moments of cinema. The outdoor space, about 500m2, has two porches, a charming garden and a large saltwater pool with a waterfall surrounded by Ipe wood. Ideal to unwind and relax. It also has an area with sports court and a SPA area with jacuzzi, sauna and gym. To be able to leave your car, it also offers two covered parking spaces and spaces in open space. Villa very well connected with quick access to the Granada ring road and the airport. We offer a wide range of optional VIP services: chef, wine tasting, transfers, massages, private guided tours to Granada, assistance to flamenco shows and much more. I authorize the sending of informative electronic communications relating to activities, products or services by email, post or fax.